Content marketing has come to a fork in the road, according to the keynote speakers who opened Content Marketing World on Wednesday in Cleveland, Ohio. One of the keynote speakers, Jay Baer, president of Convince & Convert, noted that, on the one hand, content marketing is experiencing tremendous growth, as evidenced by the crowd of content marketers listening to his speech. 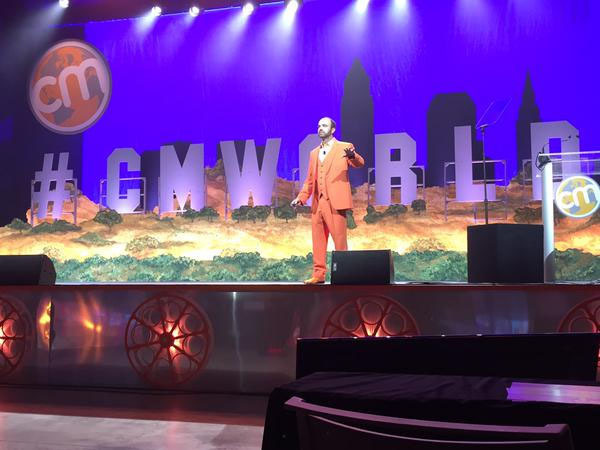 (Joe Pulizzi, the founder of Content Marketing Institute, which produces Content Marketing World, said in his own keynote that attendance at the event topped 3,000 this year, about five times the number who attended the first edition of the event five years ago). Pulizzi pointed out that marketers believe far too much of their content is falling flat: Content Marketing Institute research found that marketers said just 30% of their content was effective, which is down from 38% last year. Pulizzi said content marketing is going through a “trough of disillusionment,” using Gartner terminology about the adoption of new technologies. It’s generally agreed that there’s content overload. During her keynote, Kristina Halvorson, CEO of Brain Traffic, said we are too often swayed, when it comes to content planning, that Go Big or Go Home is best. We want to be the first to run at the next Big Idea. What if we took a step back and asked ourselves, “Why?” Why is this the impetus of our content strategy? What if instead we simply gave the customer what they want? Let’s never lose sight of who this is all for. Halvorson asked the room, “Why do we care about how much content we produce?” The conclusion: We have lost sight of the difference between activity and productivity. Our customers don’t care about how many pieces of content we produce. They don’t care how many times a piece of content has been liked or shared. Halvorson dared the room to remove the word “increase” from our goals to dramatically shift our perception of activity and productivity. Instead of increase, she suggested using words such as redesign, shut down, acquire, upgrade and establish to guide our content marketing actions. A shift from a strategy built on quantity to a shift in just purely making better choices. Many companies limit their content marketing to blog posts or social media. Marriott’s Beebe described how Marriott used a wide variety of its interactions with customers to distribute content and to gather data on customers that can make the content more customized and personalized. Marriott uses its website, which attracts more than 40 million monthly unique visitors; its emails to Marriott Rewards members, which have an open rate of more than 50 percent, to share content with consumers. The Marriott Rewards programs also yields powerful data about who customers are and what they want. Only 28% of marketers have a documented content marketing strategy, according to Content Marketing Institute research. But the research shows that marketers are four times more effective when they do have a content marketing strategy. Overall, only 30% of marketers say their content marketing efforts are effective. Pulizzi said, "Without the struggle, there will be no progress." Now is the time to roll up our sleeves, differentiate our content and rise above the noise. As marketers, we're tempted to say yes to everything -- being on every social platform, diversifying our content, Tweeting every hour on the hour. But it turns out that saying yes to everything only pushes you farther and farther away from your goals. We've confused activity with productivity, Halvorson said "Strategy is a decision to say no to certain things," she said. Making great content marketing choices is crucial. 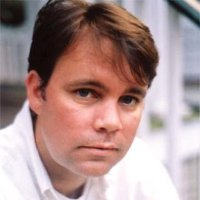 "Content is the emotional and informational bridge between commerce and consumer," Baer said. He also declared that “competition commoditizes competency.” As content grows increasingly common, every piece of content you create will be copied by your competitor. What will truly set your content apart is if you care more, Baer said, because that passion will shine through. He said we should be asking ourselves, Are you making content or are you making a difference? We'll have more coverage from Content Marketing World in the days to come. In the meantime, if you're interested in more content about content marketing, download The Sophisticated Marketer’s Guide to Thought Leadership. Special thanks to Alex Rynne and Megan Golden who contributed to this post.